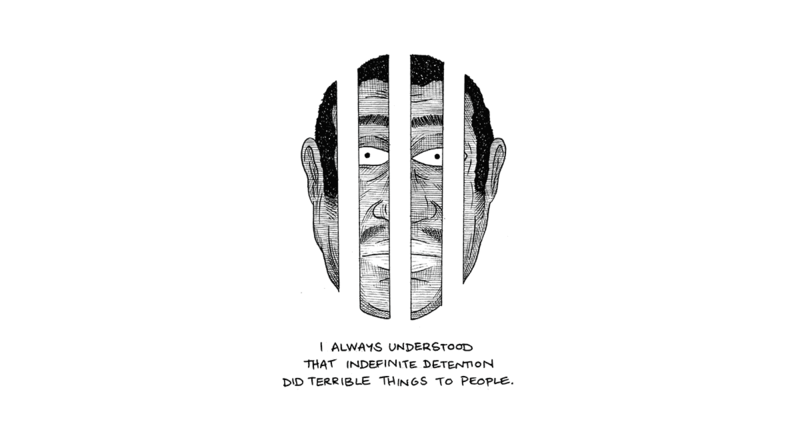 Realised in a comic-book style and drawn from exclusive interviews and diary entries from the ex-employee, A Guard’s Story offers rare insight into how Australia’s outsourced detention facilities are run. Like all Serco employees, our informant signed a confidentiality agreement and has taken a significant personal risk by talking to us. Prior to being employed by Serco, our source was sympathetic to the plight of asylum seekers in Australia’s detention facilities and took on a job as a “client support worker” to try to help people from inside the system.